New York, NY – Two of the leading jazz voices on clarinet and saxophone – Anat Cohen and Victor Goines – are set to premiere new works on October 17 and 18 in Jazz at Lincoln Center’s The Appel Room (Frederick P. Rose Hall, Broadway at 60th Street, New York, New York), offering their fresh take on the roots of Choro and Ragtime, respectively. Cohen, who has won a flurry of awards from the Jazz Journalists Association while consistently topping DownBeat polls in various categories, will lead Choro Aventuroso, featuring Vitor Gonçalves on accordion and piano, Cesar Garabini on 7-string guitar, and Serginho on pandeiro, a Brazilian tambourine, in Roots of Rio. Choro, which means “to cry” in Portuguese, is a genre often referred to as “The New Orleans Jazz of Brazil.” Improvisation and syncopation are key hallmarks of Choro, which originated in Rio de Janeiro in the early 19th century. The quartet will play waltzes, mazurkas and African-Brazilian rhythms such as the Lundu during their virtuosic exploration of Choro’s origins. Anat Cohen’s Roots of Rio performances will take place in The Appel Room on October 17 at 7pm and October 18 at 9:30pm. For Roots of Ragtime, Goines, a native of New Orleans and a gifted composer with over 70 original compositions to his credit who the Chicago Tribune calls one of “the great melodists in jazz today,” revisits the songbooks of Scott Joplin, Joseph Lamb, and James Scott and premieres a new composition in the spirit of Ragtime. Joining Goines on stage will be trumpeters Marcus Printup and Kenny Rampton, trombonist Chris Crenshaw, saxophonist Ted Nash, guitarist/banjoist James Chirillo, bassist Yasushi Nakamura, pianist Chris Pattishall, and drummer Joe Saylor. Victor Goines’ Root of Ragtime premieres in The Appel Room on October 17 at 9:30pm and October 18 at 7pm. These concerts will stream live in high-definition audio and video for free to a global audience via jazz.org/live. The concerts will also be available on Livestream’s mobile and connected TV applications with real-time DVR, chat, photos and other materials available to fans worldwide. 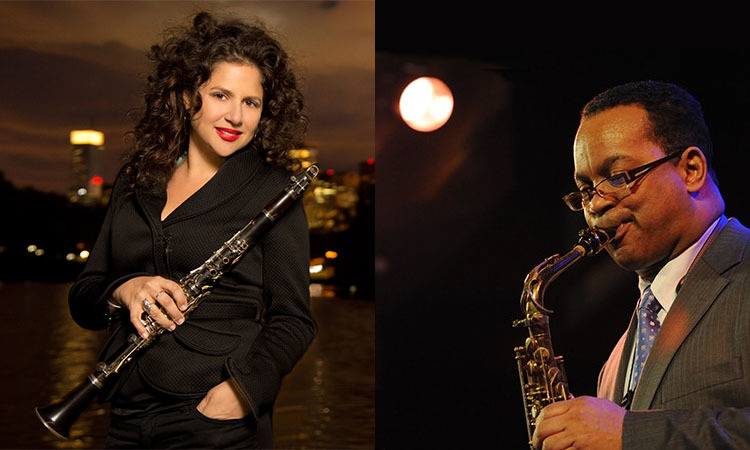 Tickets for Anat Cohen’s Roots of Rio and Victor Goines’ Roots of Ragtime in The Appel Room start at $45. Tickets can be purchased through jazz.org 24 hours a day or CenterCharge at 212-721-6500, open daily from 10am to 9pm. Tickets can also be purchased at the Jazz at Lincoln Center Box Office, located on Broadway at 60th Street, ground floor. Box Office hours: Monday-Saturday from 10am to 6pm (or 30 minutes past curtain) and Sunday from noon to 6pm (or 30 minutes past curtain). Note: Hot Seats, $10 seats for select 9:30pm performances in The Appel Room (excluding Jazz & Popular Song concerts), are available for purchase to the general public on the Wednesday prior to each performance. Subject to availability. Jazz at Lincoln Center’s Hot Seats Ticket Discount Program is supported by the New York City Department of Cultural Affairs in partnership with the City Council.